With the close of the school year drawing near, many parents will be facing the challenge of keeping their children on a set daily schedule, offering their children educational activities, as well as reinforcing good behavior. My husband and I whole-heartedly believe in using positive reinforcement to encourage and maintain specific actions and behaviors by our children that are especially desirable. Depending on what our children need to work on the most, we always have at least one behavior chart, chore chart, or learning activities chart actively going. I usually make my own printable reward charts, but like the idea of tracking my children's progress online. That way I use much less paper, less ink, and I never need to worry about misplacing the charts. I usually combine everything into one chart because it is easier to manage on paper. 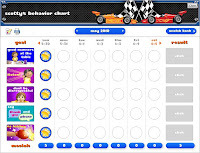 The charts available on Goalforit do allow you to put goals from multiple categories altogether, but there are only 5 slots, therefore I ended up creating a separate chart for chores, behavior, and learning activities. This is something to which I can easily adjust because it is not nearly as cumbersome as having 3 paper charts for each of my 3 children. 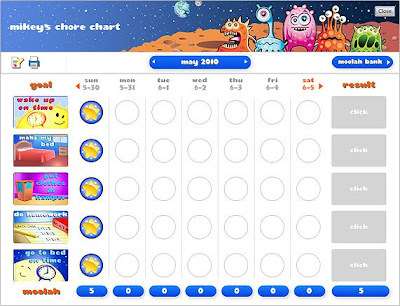 Some examples of what I would put on my 7 year old son's chore chart would be folding laundry, sweeping, and putting fresh water in the pet bowl. 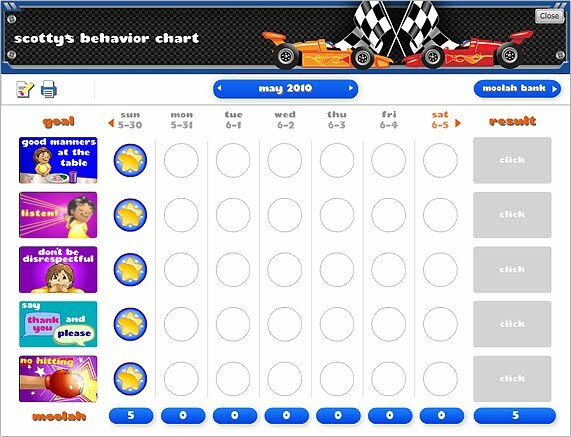 For the behavior chart, I would include sharing and reading to his younger siblings. For his learning activities chart, I would include reading chapter books, writing in a journal, 2 pages in his various workbooks, word searches, posting on his blog, and more. In fact, I would have far more than 5 things for that category, so this particular tracking system may not be a good fit for his learning activities. After all, I do not want to limit my son to only 5 choices for the whole week. If you would like to learn more about these charts or try your hand at making a free chart or two, visit www.goalforit.com, where you will also find helpful goal charts for yourself, your tweens and teens, and your spouse. This article was written as part of a paid campaign for BSM Media.